Cognitive Institute partners with healthcare providers globally to share our KnowHow – knowledge, insights and experience, to equip leaders and their teams with non-technical skills, to practise safer, more reliable and kinder healthcare. Cognitive Institute is just as committed to healthcare excellence as you, providing independent, professional advice and multi-disciplinary education. The vision that led to the development of our work recognises that while most healthcare professionals have excellent technical skills in their particular field, there is often a gap in training and development around the non-technical aspects of excellent care, particularly in the areas of communication skills, leadership capability, and the ability to work as effective teams. Evidence has proven that lacking non-technical skills and behaviours can have a dramatic effect on both the enjoyment of healthcare professionals in their work and the outcomes for patient care. As health professionals ourselves, we wanted to make a difference by filling the skills gap in these areas and provide our colleagues and healthcare organisations with the skills and knowledge they need. Our methodology is based on distilling complex issues and challenges into relevant practical training, with simple step-by-step skills models that clinicians can put into practice immediately. Programmes and courses are designed by clinicians, for clinicians and delivered by highly trained doctors, nurses and allied health professionals who understand the challenges and idiosyncrasies of the healthcare environment. For more than 20 years leading names in healthcare throughout the world have relied on our education. Cognitive Institute helps practitioners from organisations across the entire spectrum of healthcare. Our clients are from public and private hospitals, general practices, mental health services, community health centres, primary health care networks or organisations. Many are based regionally or in the metropolitan areas of Australia, New Zealand, Singapore and United Kingdom. The integrity of our programmes has led to them being adopted as medical specialty training curricula in several countries, as well as being utilised by professional regulatory authorities. 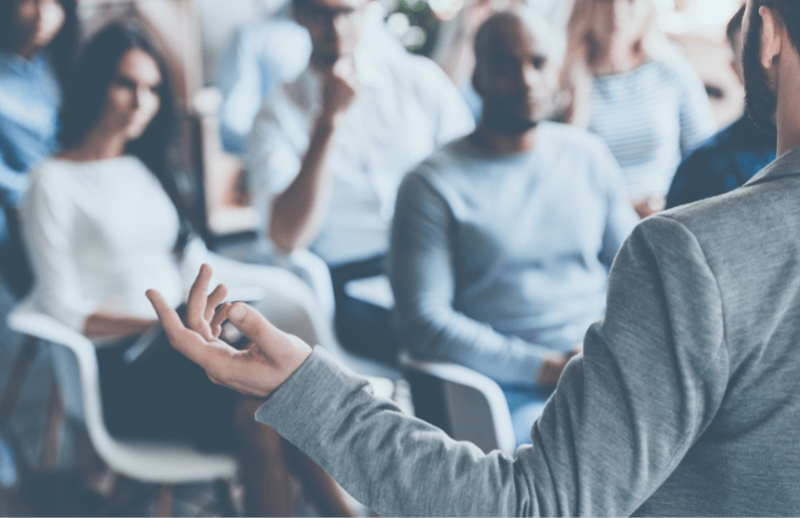 Further, many of our workshops and courses contribute toward Certified Compliance Professional (CCP) points required for healthcare professionals. Our reputation for innovative, interactive training modules delivering relevant, practical content has seen the Institute’s workshops recognised as the health industry’s benchmark in risk management, communications and patient interactions. 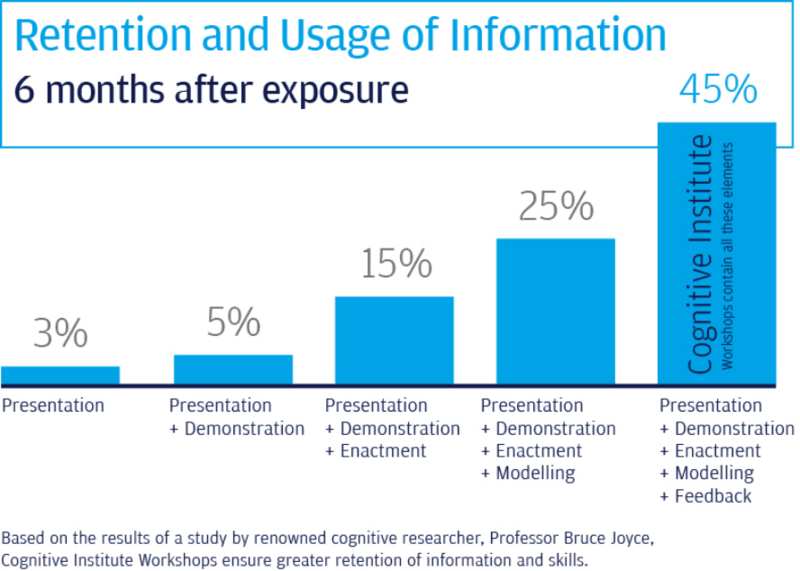 Based on the results of a study conducted by Professor Bruce Joyce, Cognitive Institute workshops show a significant shift in participants’ behaviour. Cognitive Institute is part of MPS, the world’s leading protection organisation for doctors, dentists and healthcare professionals with more than 300,000 members globally. As a not-for-profit mutual organisation, MPS offers members access to expert advice, support and education together with the right to request indemnity for complaints or claims arising from professional practice. MPS operates in the United Kingdom, Ireland, South Africa, Caribbean, Bermuda and across the Asia Pacific region including Singapore, Hong Kong, Malaysia, New Zealand and Australia. As a benefit of membership, MPS delivers education in the form of workshops to members globally, of which Cognitive Institute contributes insights and expertise. MPS takes an active role in promoting good practice and minimising occupational risk through workshops, lectures, webinars and a series of multimedia training modules.